In the 60’s it was LSD. But now what are all of the Bay Area professionals taking? 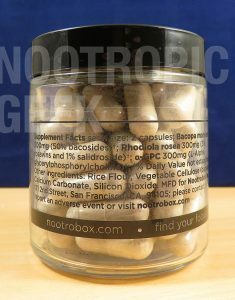 Apparently Nootrobox–as well as other sleekly designed “smart drugs.” Except unlike typical stimulant smart drugs (e.g. Adderall, Ritalin), Nootrobox isn’t a drug at all. In fact, it’s 100% safe, & (believe it or not) good for you. Like any sane warm-blooded individual living on a healthy degree of self-preservation, I approach any Silicon Valley substance with a substantial length of caution. So, from a few arms’ distance away, let’s take a look at this nootropic. 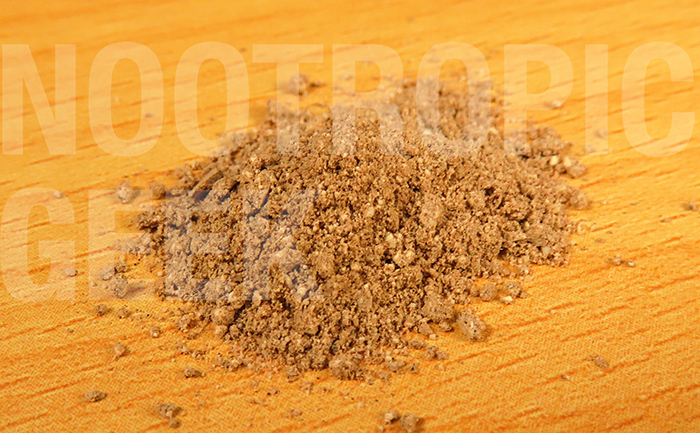 Nootrobox is a 4-formulas-in-1 nootropic stack geared towards the San Francisco tech-loving geek (à la San Francisco). This review is only covering 2 Nootrobox formulas: RISE + SPRINT. RISE supplies time-tested herbs & a notable choline source for enhanced memory, decreased stress, and long-term cognitive benefits. 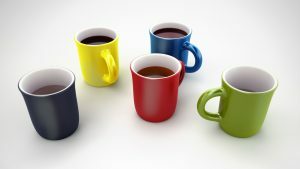 SPRINT covers the “here-&-now” aspects of cognition, largely due to its Caffeine content–which qualifies as either Pro or Con, depending on your stance. In true Silicon Valley spirit, Nootrobox comes packaged in sleek, minimalistic, Apple-influenced style. Is this a cheap gimmick or the real deal? Other Ingredients: RISE is contained within a vegetable cellulose capsule, which is vegan and flavorless. RISE contains soy. SPRINT is contained within a vegetable cellulose capsule, which is vegan, flavorless, and allergen-free. Directions: RISE – Swallow two capsules daily, with water. Take RISE at a consistent time to establish a routine. Best results are found when taken with food – the ingredients are best absorbed when digested with fat (e.g. eggs, nuts, fish oil). Because the effects of the ingredients in RISE compound when taken habitually, RISE should be taken on a daily basis. Over consistent supplementation, one may begin seeing increased memory, stamina and efficiency in cognitive tasks within 2-12 weeks. SPRINT – We recommend taking one or two capsules as needed, to increase alertness and focus. Two capsules of SPRINT MK. III is equivalent to one cup of coffee’s worth of caffeine (100 mg). Do not take more than eight in a day. SPRINT takes effect immediately (within about 30 minutes) and is effective for four to six hours. Use instead of coffee or an energy drink for intense focus & productivity. SPRINT works best when taken in an environment conducive to getting work done. 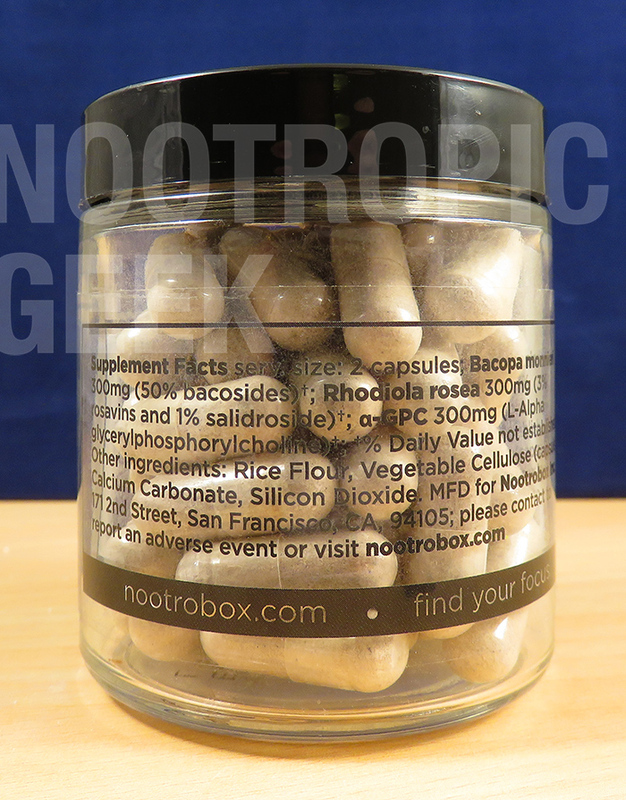 Other Nootrobox products include YAWN, for healthy sleep, and KADO-3, for omega-3 fueled brain support, but I’m only covering RISE + SPRINT, the two most nootropic-targeted Nootrobox formulas in the 4-formula stack. Each are unique enough that two reviews would have been warranted, but considering how well these supplements stack together, I’m condensing them into one review. Bacopa Monnieri extract (50% bacoside) – Quality Bacopa bountifully backed by 50% bacosides, baby. Ballin’ alliteration aside, RISE’s Bacopa is a great nootropic adaptogen for learning, stress, & memory. More on Bacopa. 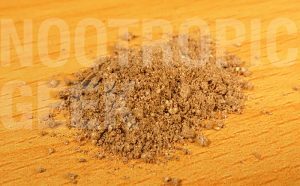 Rhodiola Rosea (3% rosavins and 1% salidroside) – Standardized for bio-active rosavins & salidrosides, this extract is in excellent form for Rhodiola’s anti-stress, pro-performance brain benefits. More on Rhodiola. Alpha GPC – Nootropic two-parter: 1) Supplies material for acetylcholine neurotransmitter; 2) Maintains the flexibility of brain cell membrane structures. Solid memory enhancer, even though Citicoline would’ve been the better option. More on Alpha GPC. L-Theanine + Caffeine – I’m lumping these two together for their complementary roles on cognition. 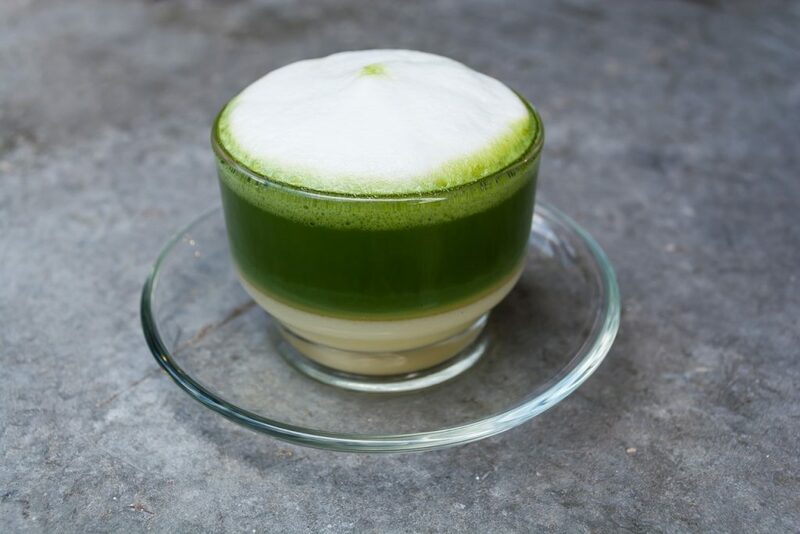 Naturally found in green tea, this duo is known for increasing energy & alertness (via Caffeine) while minimizing any excess stimulation with L-Theanine’s wakeful relaxation benefits. The result: Caffeinated creative flow-state. More on L-Theanine. OG Green Tea wakes & relaxes the mind thanks to the L-Theanine + Caffeine duo. Vinpocetine – Derived from periwinkle plant, helps protect against neural degeneration, increases delivery of oxygen & nutrients to the brain. 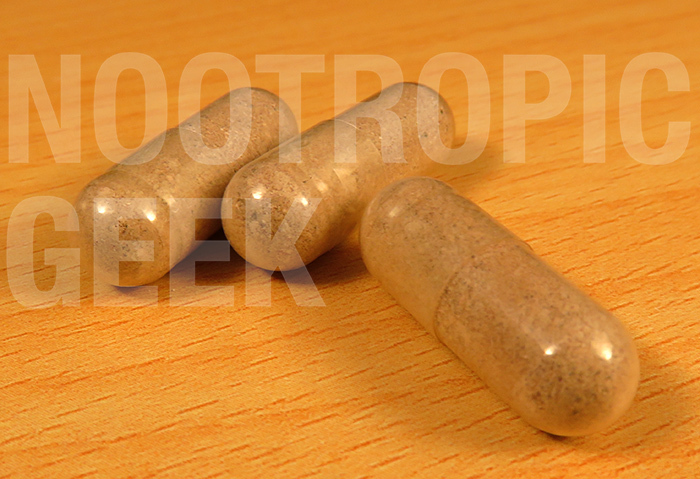 This major nootropic is great for short- & long-term brain health. More on Vinpocetine. L-Tyrosine – Perhaps the one benefit of energy drinks is their common usage of L-Tyrosine, a catecholamine neurotransmitter precursor that promotes sharp focus, attention, & relaxation–particularly during stressful conditions (i.e. exam-day, work presentations, Dark Souls marathons, etc. etc.). More on L-Tyrosine. Step 1 – Get up & mix 2 RISE capsules with your morning eggs (mmm, choline). Step 2 – Go hard at work/school/etc. with caffeinated SPRINT capsules. 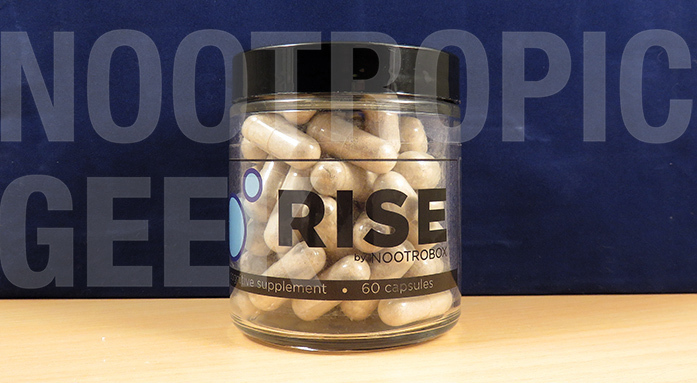 But RISE’s ingredients require days-worth of supplementation for its nootropic benefits to peak. 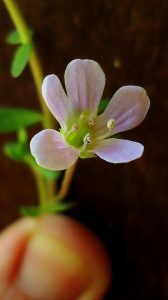 Bacopa Monnieri, in particular, is notorious for “not working” due to its users ditching the herb after a few days of supplementation to no effect. Ditching Bacopa after a few days would be a poor choice, young grasshopper. Because Bacopa’s adaptogenic memory benefits are well worth the wait–especially when compounded with Rhodiola’s anti-stress effects & Alpha-GPC’s pro-memory action. The trick to RISE is patience. Patience, grasshopper. For at least 2 – 12 weeks–a frustratingly broad time-table I realize, especially if you end up falling closer to the 12 week end of the spectrum. But worth it. 2 SPRINT capsules = 1 cup of coffee. Nootrobox claims 4 to 6 hours worth of SPRINT benefits per serving, so, ideally, one dose to start the work/school shift & one dose to continue after lunch should have you cruising through the environmentally work-conducive day, easy breezy. RISE for long-term cognitive health & SPRINT for acute mental performance. The yin-yang design isn’t only smart, but a healthy alternative to coffee & energy drinks. Quality ingredients. Quality dosages. Many formulas read well on paper, but fail in execution due to quality & quantity issues. Not Nootrobox. Clean vegan manufacturing. Capsulated formulas have an increasingly bad habit of dying their pills in unnecessary FD&C colors. I prefer my pills clean & green (in the eco-sense of the word). RISE’s benefits hang on a frustratingly long loading screen. The silver-lining of this “Con”: It disappears after 2 – 12 weeks. Caffeine. Yes, I’m counting caffeine as a “Con” namely because it’s not a true nootropic–plus, it’s far too often abused by nootropic formulators to create the impression of a stack “working.” At least this caffeine is advertised & offset by L-Theanine. Silicon Valley-inhabiting, Tech Start-up-ing, LinkedIn-obsessing, propellerhead-sporting, Google Glass-wearing GEEKS. Nootrobox’s design clearly targets the tech geek culture & its brainpower bursts seem specially geared toward the creative workaholic & academician, alike. Nootrobox appears to be only available directly from the Nootrobox website. Nootrobox users may feel dismayed from the long wait period on RISE. Others may ditch the effort entirely, viewing the “2 – 12 weeks” as a cop out. After all, even if the formula doesn’t work, then 12 weeks is an expensive long time and a major profit on behalf of Nootrobox, right? Completely understandable. 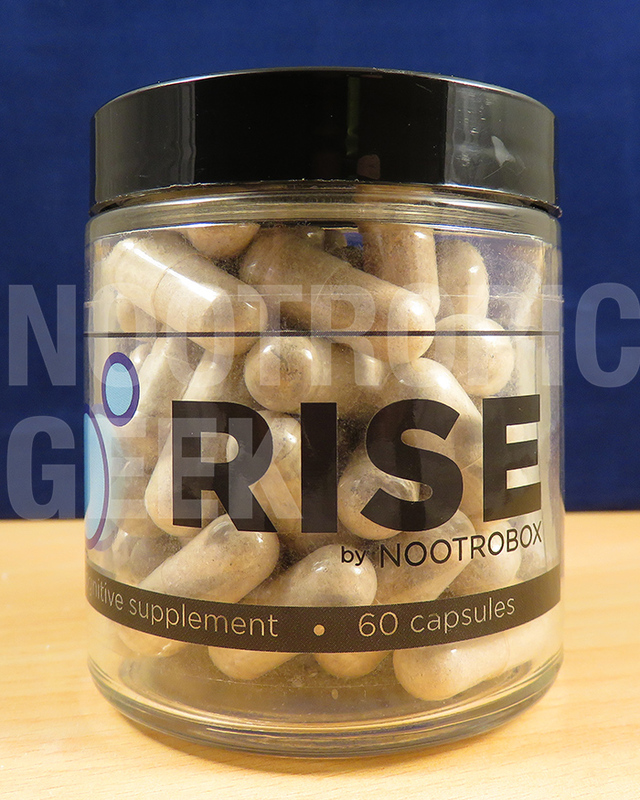 I have similar reservations… Yet, the ingredients used in both RISE & SPRINT aren’t only research-backed, but they’re time-tested: Green Tea, Bacopa, & Rhodiola dating back to the early, early AD centuries of nootropic usage (thousands of years before the concept of nootropism was… well, conceptualized). So the question isn’t do these ingredients work (they most certainly do), but do these particular extracts work? Yes. RISE + SPRINT will have you not only awake & moving around, but also cognitively sharpened for the long run. And if you need any convincing, consider what you’re spending on coffee and compare that to the prices here. For this propellerhead geek, it’s a done deal.